Whether you are charged with Theft, Theft from employer, Possession of Stolen Property, Fraud, Uttering Forged Documents, or Credit Card offences, all of these offences involve allegations of some form of dishonesty and depriving someone of monies and/or their property. The penalties range from a minimum of an absolute discharge to a maximum of 14 years in prison. In our increasingly complex world we are seeing more and more cases involving the use of credit cards, debit cards, (allegedly) forged documents, including cheques, bank drafts, money orders, etc., and the theft and misuse and unauthorized use of computers and their data. As experienced criminal defence lawyers, The Criminal Law Team keeps up with the sophisticated aspects of these types of transactions. We also employ a bevy of expert witnesses, who continually advise us on ways in which we can poke holes in the prosecution’s case. With a combined total of over 60 years of experience practicing exclusively criminal law, The Criminal Law Team has represented numerous clients charged with these types of property offences. We are well aware that these offences require proof of an intent to deprive the owner of his or her property and/or an intent to defraud. Furthermore, the prosecution must be in a position to call the owner of the property in question in order to prove he or she did not consent to the activity in question. We have represented several clients charged with defrauding persons of in excess of a million dollars. In fact, one client, who was charged with defrauding investors of over $10 million, had his charges thrown out of court as a result of a successful argument that the client’s right to a speedy trial was violated. In another sophisticated fraud case, we employed the services of a forensic accountant to point the finger away from our client, but firmly in the direction of the co-accused. We have represented a client charged with mortgage fraud-related offences, and obtained an acquittal for her, and, as well, we managed to help her keep her real-estate agent’s license. 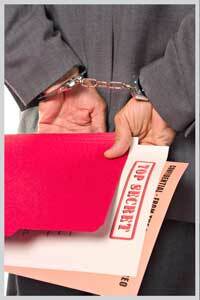 We specialize in representing clients charged with complex frauds. These types of charges usually involve the organization of massive quantities of documents. We are particularly equipped with the means to collate and cross-reference these documents in a digital form so that they can be easily referenced in the preparation of our client’s defence. In fact, in the fraud case that resulted in a dismissal of all charges, it was our ability to organize thousands of pages of documents- versus the prosecutions inability to do so- that contributed to this successful result. Our vast knowledge and experience in representing clients facing property offence charges that occur in the context of sophisticated financial transactions gives us a distinct advantage over younger, less-experienced lawyers who may be eager to take on any case, but whose practice focuses more on less complex matters. Having said that, we have represented many clients charged with theft-related offences (as opposed to fraud-related offences), which usually involve an allegation that property was taken from its owner without his or her consent. A particularly serious charge in this category involves theft from one’s employer. Please see our discussion of this topic under the ‘Theft from Employer’ heading. A very serious property offence is Arson, where the prosecution must prove a fire was deliberately set for the purpose of defrauding an insurance company. With this charge, there the prosecution also argues that a deliberately set fire poses a serious risk to life. We have been successful in having this serious charge either reduced to a less serious charge or obtaining a withdrawal of the charge. In one particular case, a forensic fire investigator was able to successfully counter a prosecutor’s expert’s claim that a fire was deliberately set. Counterfeiting offences involve the making, passing (uttering), or possession of counterfeit money. It is also an offence to use or possess the instruments for making counterfeit money. If you are charged with buying, receiving or possessing counterfeit money, the prosecution does not have to prove that you intend to use the money as currency. However, the crown must prove that you knew the currency was counterfeit. Many of the currency and counterfeit type offences carry a maximum jail term of 14 years, thus precluding the opportunity for a conditional discharge or absolute discharge. The Criminal Law Team has been very successful in these situations in obtaining a plea to a lesser charge than counterfeiting money so as to prevent a conviction for the offence. Breaking & Entering, also known as burglary, or simply B & E, is the crime of entering a place (residence, building, or place of business) without permission of the owner. There is no requirement that the premise be “broken into”. The crown must prove an intention to commit an offence therein, usually theft. Thus, if an accused entered a building for the sole purpose of obtaining shelter from the cold, he or she would not be guilty of the offence of Break and Enter. Related offences are mischief (damage to property) and possession of break-in instruments, the latter which may include such items as a flashlight, screwdriver, or even a credit card. The Criminal Law Team has observed that breaking and entering is usually motivated by a serious drug addiction. If you, a friend, or a member of your family has a drug problem, The Criminal Law Team has significant resources available to allow our clients to seek the help they need. Breaking & entering a dwelling house carries a maximum sentence of life in prison. A severe penalty would only be reserved for situations where the accused (1) has a lengthy, related criminal record, (2) the owner was present at the time of the break-in, (3) a confrontation occurred and the owner was injured; and/or (4) large sums of cash or goods were stolen. Auto Theft is simply another form of theft, however, there is a minimum six month jail sentence in the case of conviction for a third or subsequent offence of car theft if the matter is prosecuted by indictment. The Criminal Law Team has observed that many times those who repeatedly commit vehicle theft either have a serious drug addiction, or an unhealthy fascination with automobiles. There is also the less serious offence of taking an automobile without the consent of its owner (or, being the occupant of a motor vehicle knowing it was taken without the consent of the owner). This offence usually arises in circumstances where a child takes their parent’s automobile without permission, there is an accident, and the insurance company threatens to deny coverage if the child was an excluded driver, the child was suspended, or did not have a valid driver’s license. If you are charged with Theft, Theft from employer, Possession of Stolen Property, Fraud, Uttering Forged Documents, Credit Card offences, or any other type of so-called ‘property offence’, feel free to call The Criminal Law Team for your free confidential consultation. Peace of mind, sound advice, and strong, confident representation are only a phone call away.